It's that time of the year again! And I know y'all don't want to even think about it or talk about it. Sadly, I am starting school this week. On Thursday. I am two parts nervous and about three parts excited. I will be a junior this year, and that terrifies the shiz out of me... Oh well. It's here whether I am ready or not. 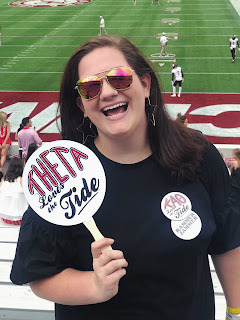 Here are three ideas that I absolutely love for the first day! Y'all are probably rolling eyes and are like Julianna, we get it. You like stripes. Stop talking about it. But seriously, I love stripes so much, and I love pairing them with a floral skirt. Classic pieces but slightly trendy because pattern mixing. 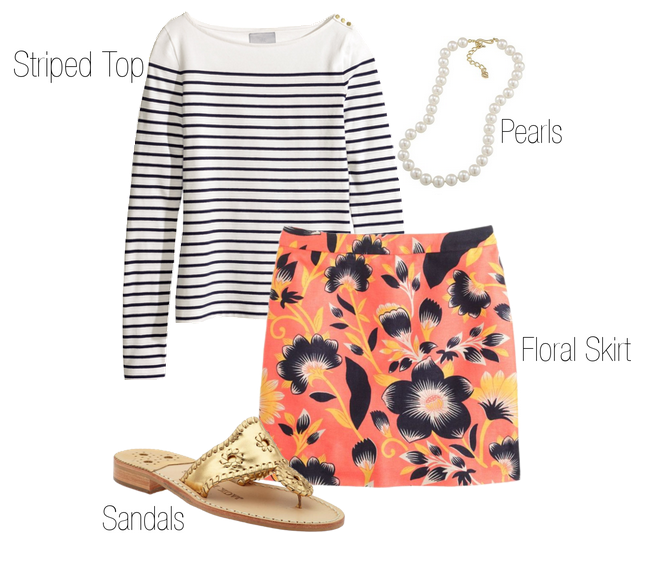 Throw on your broken in Jack Rogers and a strand of pearls, and you're set. One of thing that I've started loving is super denim chambray button downs. They are perfect to pair with super swingy black shirts. Again, classic yet not standard. 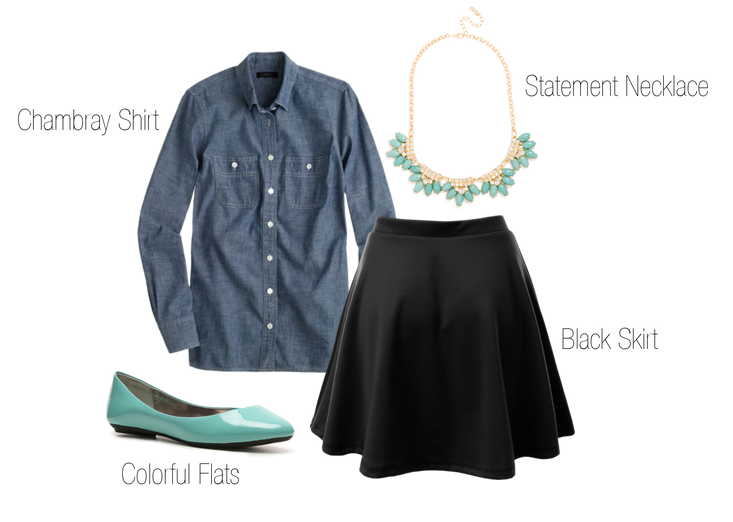 Add a colorful statement necklaces and matching comfy flats, and you're sure to impress on your first day. This third outfit is slightly more casual because I know not everyone loves to dress up. High waisted bright shorts are a great way to make a statement without dressing up too much. A white shirt keeps it simple. The sandals in the picture are from Target, and Emma and Natalie own them/love them. With an outfit, this simple, add some interesting studs to complete it. Whenever you start school, I hope you look fabulous!